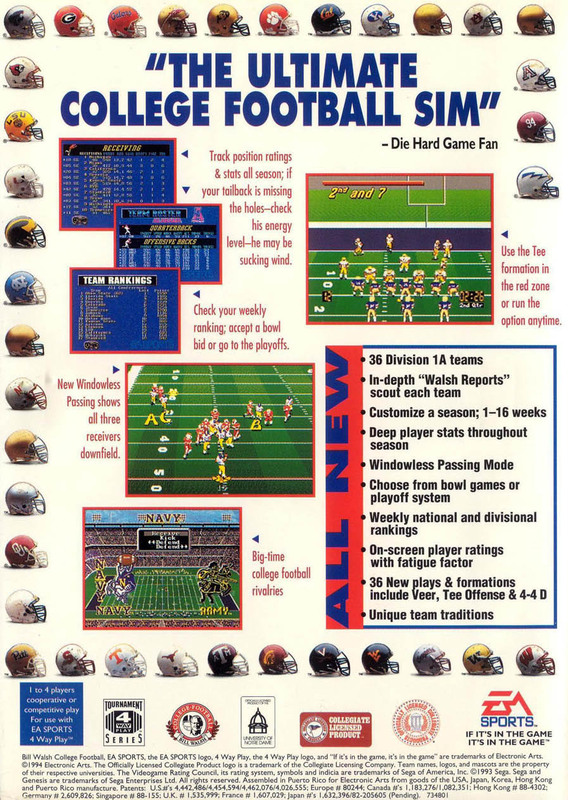 Краткое описание: Bill Walsh College Football 95 was one of the many football games released by Electronic Arts back in the day. This one was a bit different as it includes a full season team and player stats, weekly rankings and a windowless passing mode. It has 38 powerhouse teams, such as Florida, Florida State, Texas and Notre Dame to name a few. There are many offensive and defensive plays, over eleven different offensive formations with close to eight options a piece, and six different defensive formations. 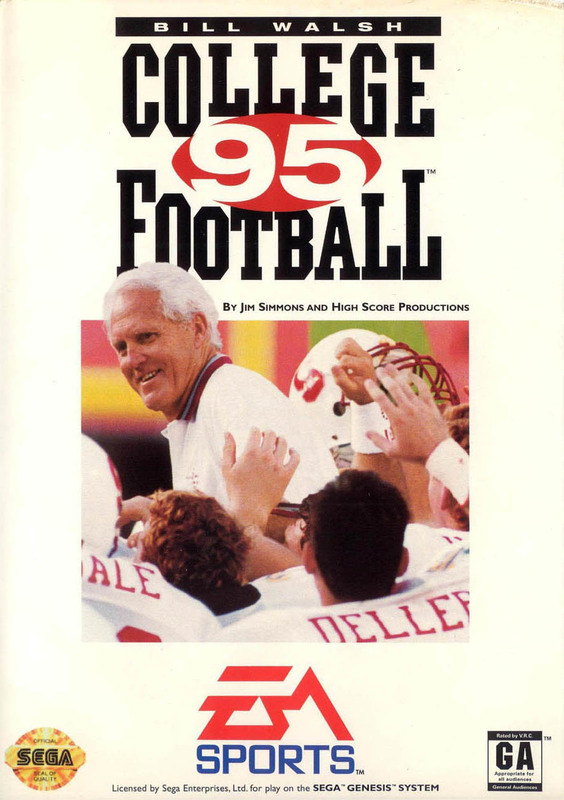 Bill Walsh College Football 95 was one of the many football games released by Electronic Arts back in the day. This one was a bit different as it includes a full season team and player stats, weekly rankings and a windowless passing mode. It has 38 powerhouse teams, such as Florida, Florida State, Texas and Notre Dame to name a few. There are many offensive and defensive plays, over eleven different offensive formations with close to eight options a piece, and six different defensive formations.